Kids love creating and solving each others' word search puzzles. 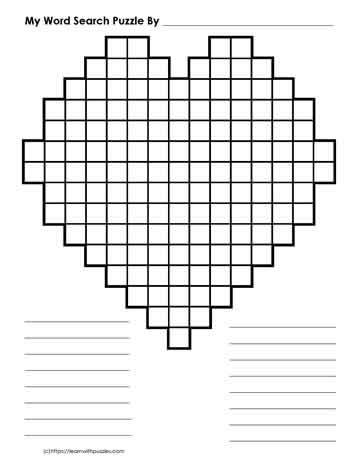 Have them create a special one for Valentine's Day with this heart shaped blank word search grid. This 15x15 grid is suitable for primary grades. For older grades, try using the 23x18 Valentine's Day Blank Word Search Grid.